Incepto gives you confidence, as well as better price when selling your firm. When we decide to take on a project, it is because we know the company can be sold at the right price & terms, and because we are strongly committed to selling it. Our industry expertise is within the technology-, consulting- and services industries. In these industries, we have relationships to decision makers globally, and easy access to present new opportunities. Our track record includes many cross-border deals; international buyers often create best value for our clients. Less than 1 in 10 companies listed for sale are sold. There are many pitfalls; in technology and consulting the main issues are poor preparation, lack of understanding of how potential buyers think and lack of knowledge of the buyer market. One of the most frequent mistakes is marketing the company to only a handful of buyers. Even at a bargain price, you cannot affect potential buyers’ plans if the timing is wrong. 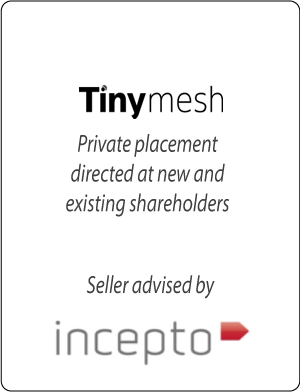 Incepto recognizes and understands these risks, and helps you navigate through the process of understanding who would be potential buyers of your company. Incepto will document the value of your company, and how to communicate the value to potential buyers. The next steps are reaching out to potential buyers in a process designed to receive competitive bids, negotiating a strong price for your company and safely guiding you through an often demanding and intensive Due Diligence process. Together we will also formulate the future value and synergies in the business combination with each bidder, in order to have stronger arguments to “get paid for the future” – this is particularly important with technology-based firms where most of the value of the company is future opportunities. When you hire Incepto, expect us to challenge you and your business as we prepare to maximize the chances of a deal and achieve an above-market valuation. Typically, we would build a target list with over 100 potential buyers, and end up with anywhere from 3-10 bidders from which we close the deal with the bidder that offers the best business combination at the right price and terms. This process will typically take 4-9 months in today’s market. We know the inner workings of the Nordic technology-, consulting- and services industries, complete with relationships to owners and top management in virtually all firms relevant for an acquisition. We also know which companies are gaining market share, which companies are struggling and who are looking for an exit, and we expect to get to know you well enough to understand exactly how these companies will fit in with your business. When you hire Incepto, expect us to challenge you and your views with our local knowledge as we help you to make the right acquisition(s), at the right price, and with as little risk as possible. Typically, we would together formulate acquisition criteria as a basis for searching for potential targets, and qualify agreed-upon targets by contacting owners and verifying that these targets are for sale. Based on this process we would end up with anywhere from 5-20 companies that fit the acquisition criteria and have a verified intent/willingness to sell, and who we would approach with an intention to start an acquisition process. Based on cultural fit assessed from management meetings together with all other criteria, we would then agree on prioritized targets with which to engage in an acquisition process. Finally we would attempt to conclude a deal with the company that offers the best business combination / value growth at the right price and terms. This process will typically take 3-9 months in today’s market. When you are buying or selling a company, the transaction may be structured in several ways. We have “Management Buy Out/In” (MBO or MBI) where a company’s management team buy the company (MBO), usually financed by a combination of debt and equity that is derived from the buyers, finance companies and/or the seller. In an MBI an outside/external management team buys a company and replaces the existing management team (or parts of it). A Leveraged Buy Out (LBO) is a transaction where the Acquirer of the company is using a significant amount of borrowed money to pay the Seller of the company. If you need to raise capital through sale of shares in the company (equity financing), we can assist you in targeting the right industrial- or financial- partner and assist you in conducting a directed share issue. Penetrace is the all-in-one marketing intelligence platform which enables you to see clearly how marketing can drive short- and long-term sales. Verdane Capital is a leading investor and active owner of technology-enabled growth companies in Northern Europe. 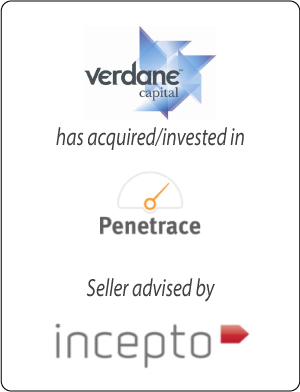 Verdane will grow Penetrace globally. Kikora is a next generation learning tool for mathematics instruction. Eldur Learning is a Norwegian based provider of learning tools. 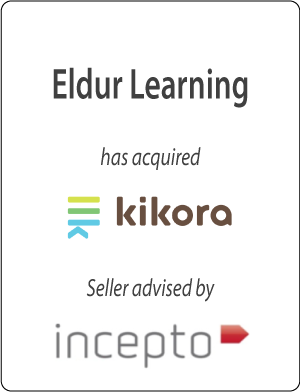 Through the acquisition of Kikora, Eldur Learning established the foundation for its learning tool offering within mathematics. 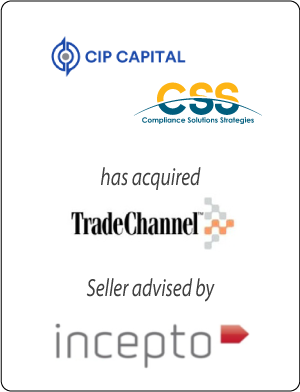 TradeChannel is a provider of post-trade regulatory reporting, data and systems integration software solutions to the Nordic financial community. CSS is a global RegTech platform serving the financial services industry. CIP Capital is a New York-based Private Equity firm specializing in “buy-and-build” acquisitions. Proventus is a Software- and Consultancy company specializing in .Net/Progress based technology solutions. Intellicom is a Consulting company developing and delivering digital solutions based on .Net technology. The merger will create a company with a stronger .Net profile and broader client base. Tinymesh is an IoT company providing a powerful and comprehensive wireless mesh network infrastructure in a plug-in board, used e.g for wireless smart metering solutions. The company raised equity in order to strengthen its Indian outfit and production capacity. 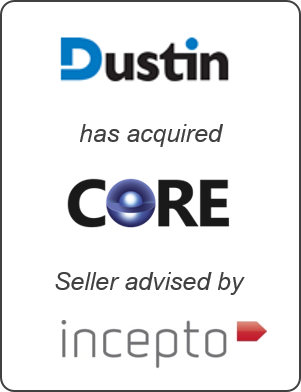 Dustin (Nasdaq Stockholm) is one of the leading resellers of IT products and services to the public sector and to private companies. Core Services is a Norwegian provider of IT infrastructure, focused on hyperconvergent and software defined datacenter solutions. Through the acquisition Dustin will strenghthen its datacenter offferings. Braathe Gruppen is a provider of cloud- and IT-operations services to businesses in Norway. 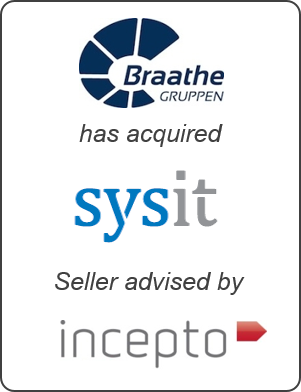 SysIT is a smaller provider of the same type of services as Braathe Grouppen. 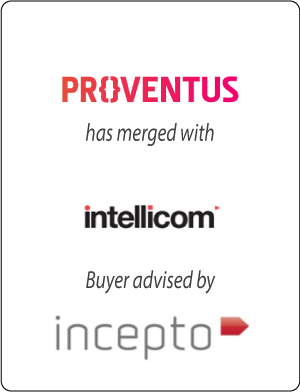 The acquisiton is a part of Braathe Gruppens strategy for further growth and expansion in this market. Allgeier is a German Frankfurt listed IT company. 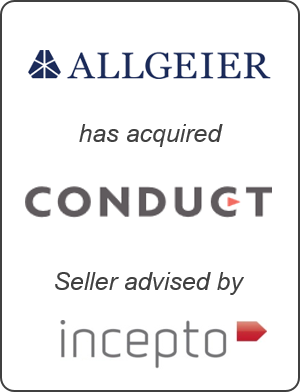 Acquired Conduct through its global services division Nagarro. Conduct is a Norwegian IT solutions provider specializing in Open Source technologies. The transaction expands Allgeier’s strong market position in Scandinavia. Virtusa is a NASDAQ-listed global consultancy firm focused on innovation. TradeTech is a strong consulting brand in Sweden within the financial sector. 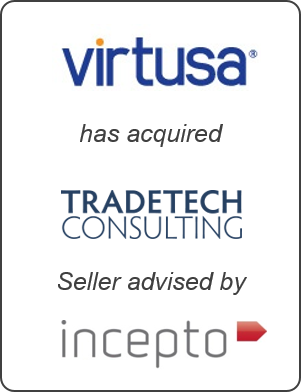 With the merger, TradeTech’s products will be offered globally and Virtusa will strengthen its position in the financial sector in the Nordics. zeb/ is the leading European pure-play financial sector consultancy firm, with a full-service offering. Crescore is a pure-play consulting company within the financial sector in Sweden. 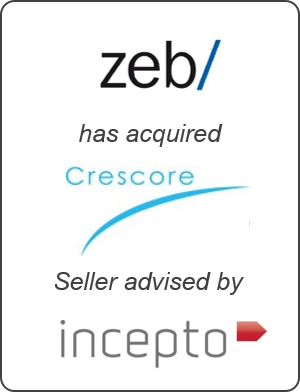 With the acqusition Crescore’s offering will be broadened and zeb/ will strengthen its position in the financial sector in the Nordics. Consolidate is a software company providing Asset Management Solutions to the Nordic Health Care market. 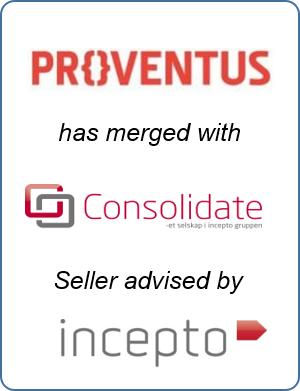 With the merger, Proventus will provide an extensive portfolio of sw solutions and services to the Organizations- and Health Care market. ViaNett (acq. by Target Everyone AB) is a Norwegian provider of high quality SMS services. Sendega is a market leading provider of SMS services and mobile payments for enterprises and organizations. 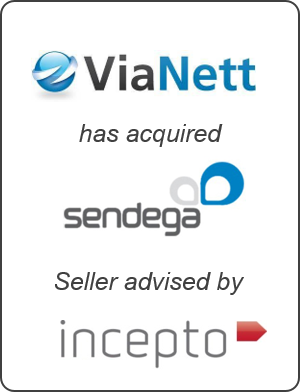 With the transaction ViaNett increased its SMS volume and market psotion. Synergy Sky is an innovative videoconferencing cloud software platform for communications service providers. 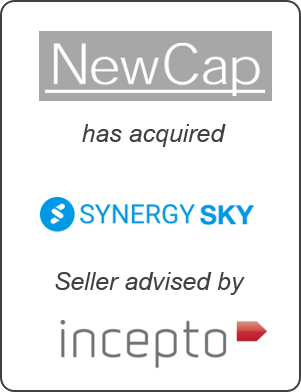 NewCap is a Private Equity fund owned by private investors. With the investment, Synergy Sky’s global potential will be put to the test, with an expansion to the US already executed. The Telecom company is one of the world’s major mobile operators with strong focus on innovation and development of infrastructure and new services. Company X provides satellite communications services. 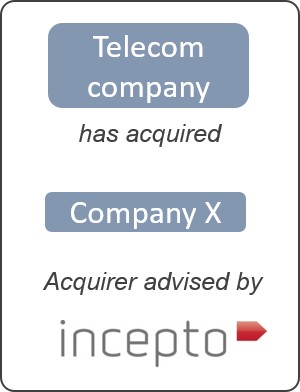 Incepto provided strategic advice to Telecom company prior to and during execution of the transaction. 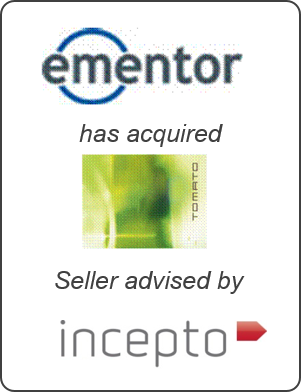 Ementor (Atea) is the leading Nordic and Baltic supplier of IT infrastructure. Tomato is a leader within virtualization technology, providing software solutions, consulting and implementation services. Through this transaction Ementor and Tomato are creating a unique offering and platform of expertise within virtualisation and server consolidation in general.